It is a very interesting premise. Geeky, tech guy in charge of monitoring emails becomes interested in an employee he is monitoring. 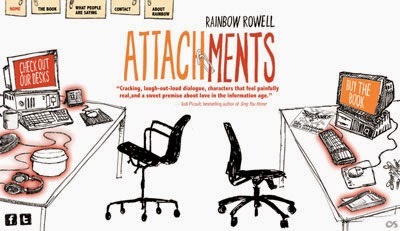 What did you like best about Attachments? What did you like least? Best - It was a cute fun read. The characters were interesting. Least - There is a lot of "Jennifer to Beth"... "Beth to Jennifer", in a traditional book this would not have bothered me but in audio it gets a bit annoying. Additionally, there just is not a lot of substance. Reading it in traditional paper form?